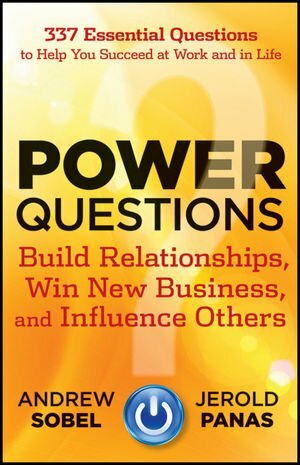 the end of the book.The insights in Power Questions include:Want to refocus a client conversation? Ask, What's the most important thing we should be discussing today?Want to connect deeply? Ask the startlingly simple, What are your dreams?Want to learn how someone became the person they are? Ask, How did you get your start?Want to understand a client's deepest motivations? Ask, Why do you do what you do?Does someone need a push to excel? Ask, Is this the best you can do?When you use power questions, you magnify your professional and personal influence, create intimate connections with others, and drive to the true heart of the issue every time. Your Plans or Their Plans? Why Is This Day Different?